The current power grid in China has a series of problems, such as aging infrastructure, the growing lack of resources, and the continued growth of energy demand and environmental pollution, which proposes new requirements for national grid construction. The smart grid is the trend for the future development of the power grid. The smart grid emphasizes interaction with user information and energy. The user energy management system can adjust and optimize the charging and discharging of the energy storage device according to the user’s dynamic real-time load. It can quickly and accurately predict power load, change user electricity consumption behavior through the price mechanism so as to achieve load shifting, energy conservation and improve power supply efficiency. The distributed power system including renewable energies has quite a number of uncertainties, and electric usage behavior is random with a high degree of freedom, which is a complex system with multiple time scales and strong coupling. Therefore, how to effectively manage the uncertainty of the intermittent power, energy conversion equipment and the diversity of load variation are important problems which should be solved in the first place. Furthermore, under different operating conditions and constraints, to realize economic operation and reliable multi-power supply with a high degree unity is the key technical problem faced with energy management and optimization scheduling in the distributed grid. This book investigates the individual load prediction and analyzes the power generation from renewable resources so as to optimize the configuration of the renewable energies and traditional grid. 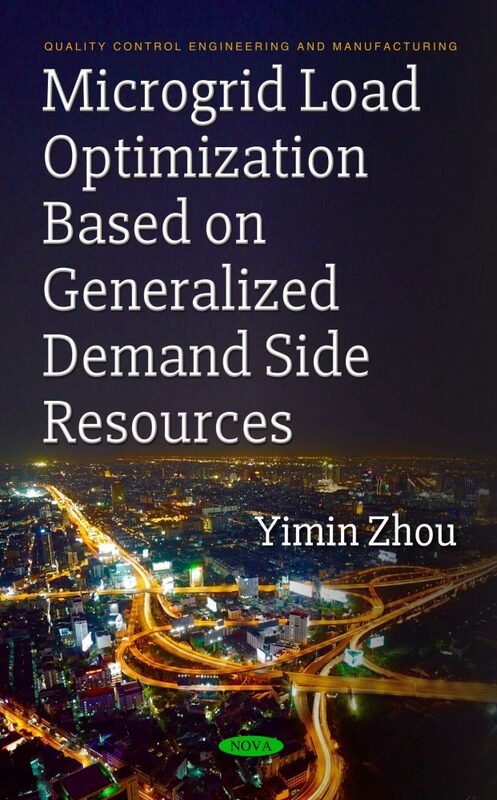 Based on the developed model and data from individual users, the load prediction of certain areas can be achieved so as to lower the difficulties of optimization and prediction, and enhance the precision accuracy and management levels. Power load prediction is based on comprehensibility, possibility and controllability such as control theories. The current resources can be effectively analyzed to optimize the renewable resources configuration and penetration, as well as the usage strategy of the user’s electric appliances. It can reduce the dependence on traditional energy sources and ensure the energy generation capacity to follow the load variation tendency and improve the energy efficiency of the power system, its safety and its reliability, and to reduce emissions of carbon dioxide and pollutants, which is beneficial for the construction of the smart grid. Audience: Researchers in the institutes, university, and power companies might be interested in the book.